A prosport red/blue boost guage, and a Mazda 3 vent pod guage holder. 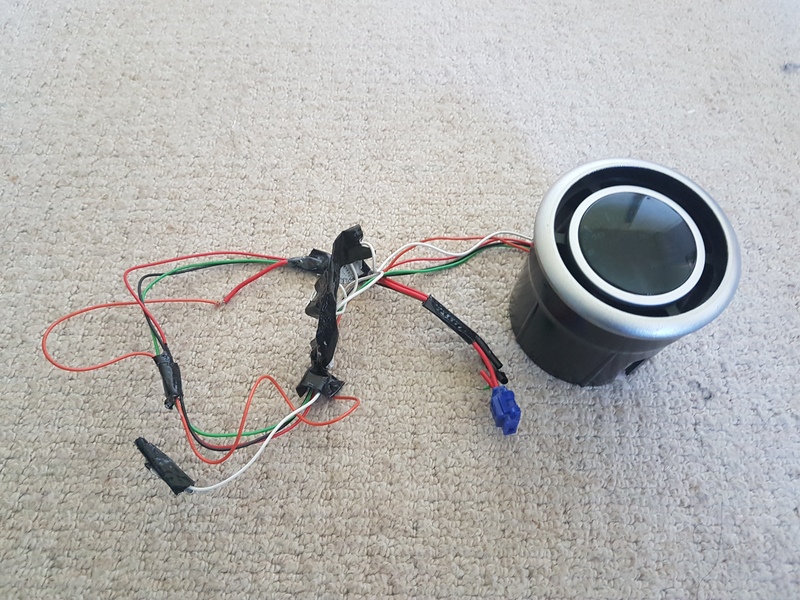 The holder replaces one of air vents on a MK1 Mazda 3 (may fit other models of Mazda but I'm not sure) The boost gauge from prosport is missing the digital boost sender unit, but this is available on eBay for £20. The gauge pod is only available from the USA.